smartPerform was represented at three different stands at this year´s Integreated Systems Europe (ISE) 2016. 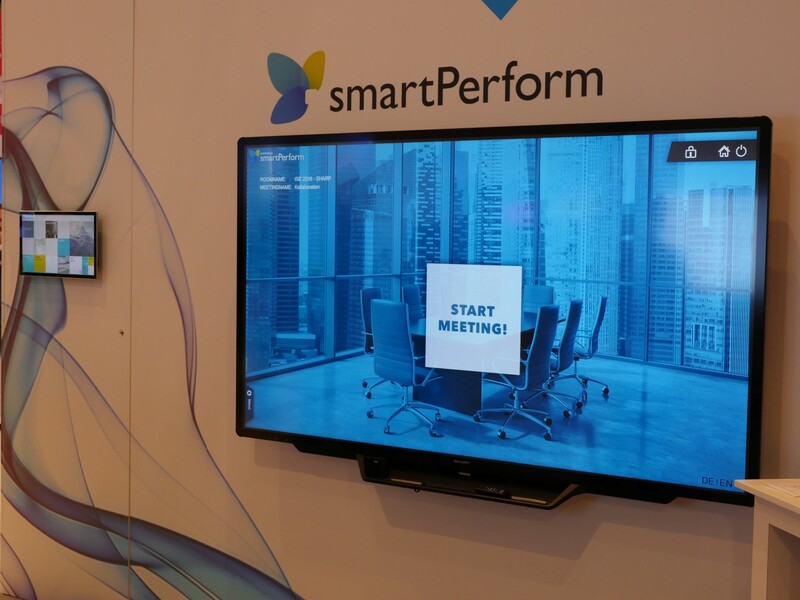 As an official partner of Sharp, smartPerform was represented at Sharp´s stand E76 at hall 11. 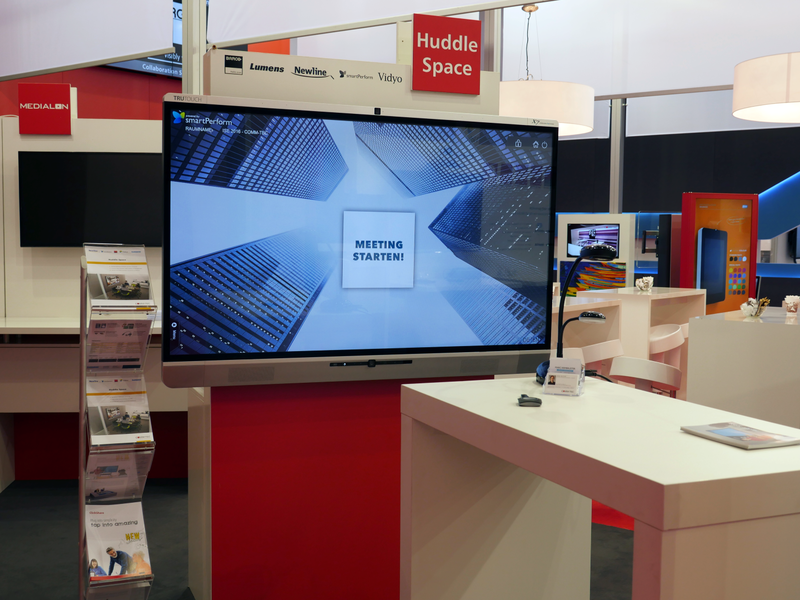 Use cases for collaborative meeting space, creative and brand rooms as well as showrooms were presented on an interactive 80° display (BigPad). One of the special hghlights was the smartPerform solution for a modern conference room. Due to the simply designed display from smartPerform and the functions and processes that are optimized especially for use cases, customer can choose to have just the specific use cases available he really -technical aspects move to the background and the focus is on content and easy operation. As another highlight of smartperform, the native Integration of mobile devices (BYOD) was introduced. 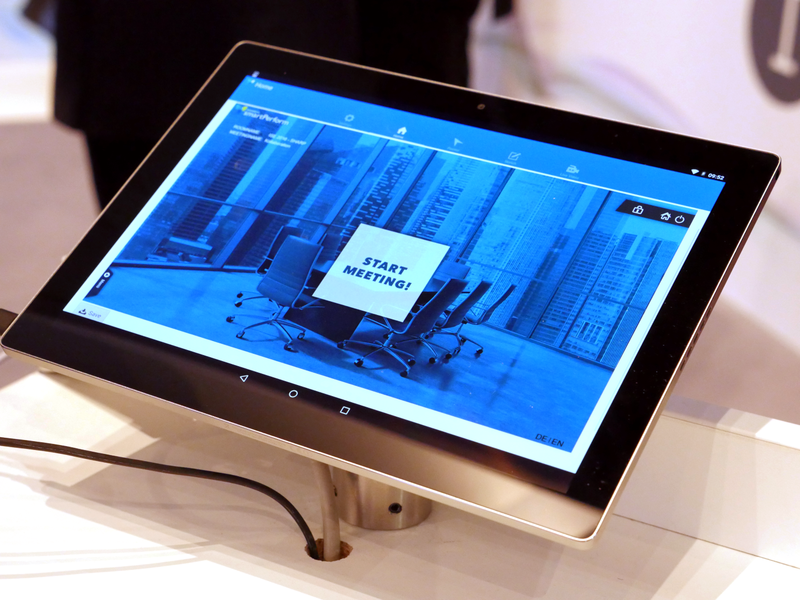 For this function, smartphones, tablets, laptops with an iOS, Windows or Android system can be connected to the smartPerform display via an app (from the AppleStore) or via a web browser, for example, during a meeting. Thus, media content or notes can be shared with all attendees of that meeting and content of the presentation can be saved on mobile devices as well. With this app, it is also possible to collaboratively annotate media content and live sources presented in smartPerform. The launch of the app is planned for July 2016. 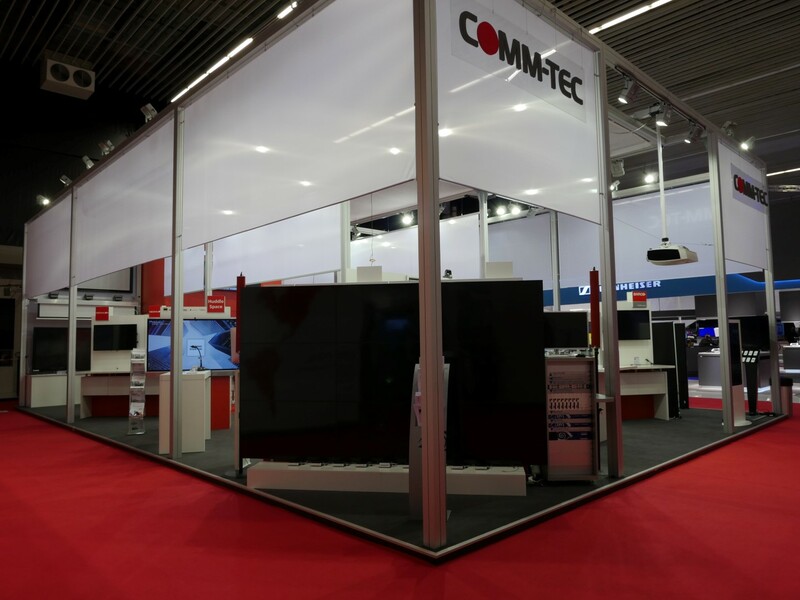 In hall 2, the company COMM-TEC from Uhingen presented their prototype of the new X7 Collaboration Hub. The full package contains a 70” multitouch display (alternative 55”) with an integrated PC as well as two full HD cameras, integrated loud speakers and microphones. A major component of the Huddle Space solution is the smartPerform collaboration app as an intuitive display for all functions and processes. integration of 1-4 live video sources, like for example Barco, Clickshare, Visualizer etc. New: the smartPerform app is not listed as an individual project, rather as a closed software product. All function variables as for example, display design, settings, lettering or adaptions to the IT landscape can be easily adjusted for individual needs with the configuration menu without any briefing or instructions-super easy! Also in hall 2, the eyevis GmbH from Reutlingen presented two different smartPerform solutions including POI/POS and showroom. 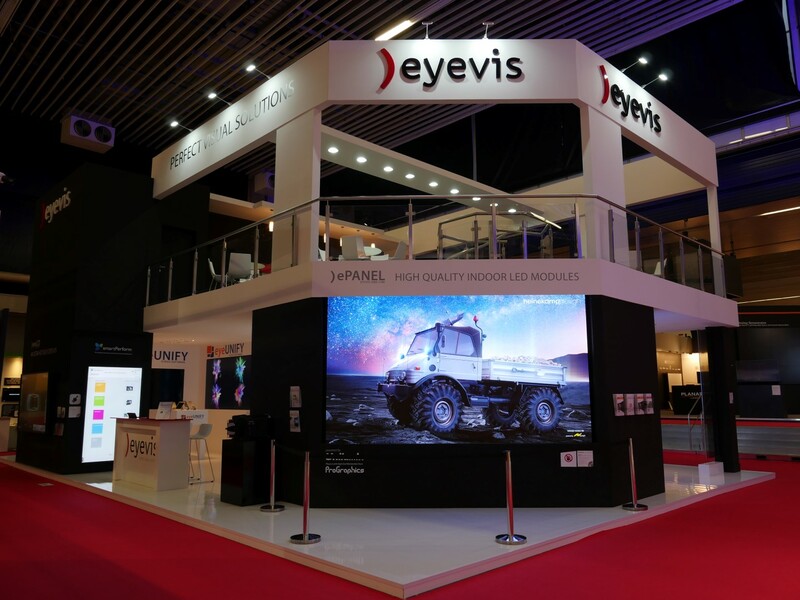 On an upright placed 85“QHD touch display eyevis presented their own product portfolio with smartPerform. The sales people from eyevis had access to their product information and data sheets, films and pictures. Interesting data could be collected in the shopping cart during the innovative presentation and then directly send via email to eyevis´customers. 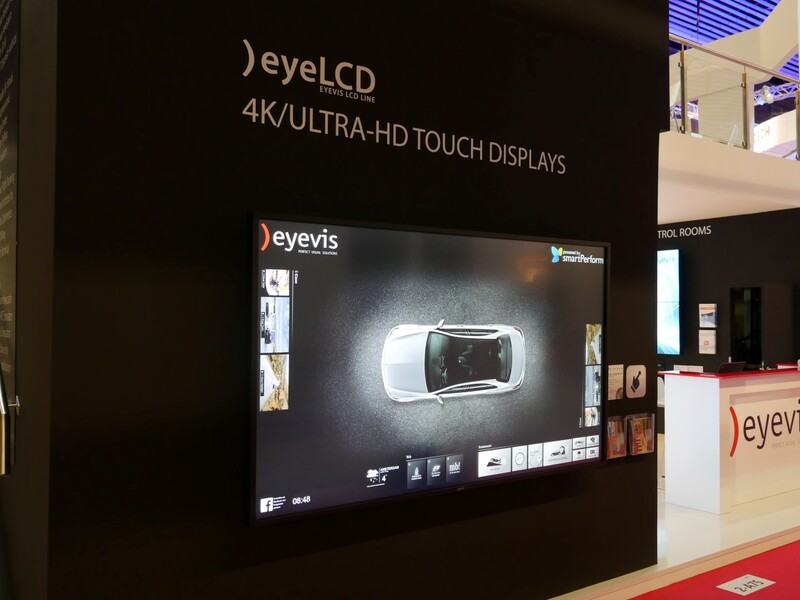 A smartPerform example of a real showroom concept for the automotive industry was presented by eyevis on a 98“ QHD touch display. 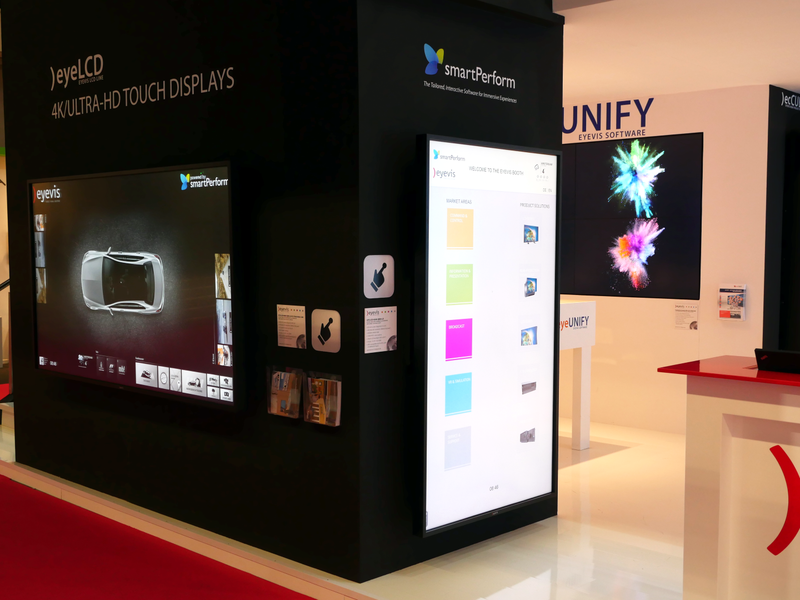 The display´s 32 touch points enabled many visitors at the same time to discover the benefits of a virtual product presentation for POI/POS. The whole smartPerform team had a very exciting and successful time at the ISE 2016. Many thanks to our visitors for the interesting conversations and our partners for their great support.